Why, Yes, I Am a Chargers Fan - Run. Bike. Code. Living the active life while maintaining some nerdiness. If you follow me on Twitter, you might have seen a bit of a smack talk about last weekend’s NFL playoffs, more specifically the SD@DEN game. I wrote the following text a few years ago on my old blog and figured it would be a good opportunity to repost here, with slight adaption regarding times. I will be back with my regular postings about running, biking and coding right after this one. This is my 13th season of watching American Football, more specifically, the NFL. For most Americans – who grow up with American Sports – that’s probably nothing spectacular, but I am from Germany, where people think of football as something you play with your feet (11 players on one team) – it’s called soccer in the rest of the world. 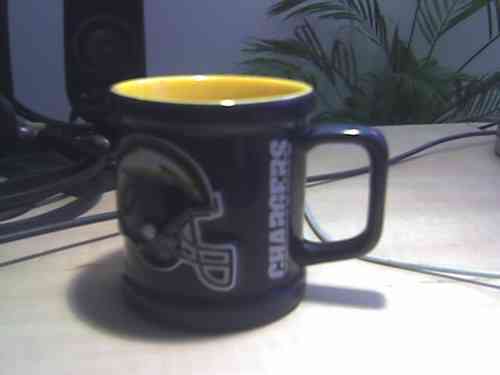 I also have a team I root for: the San Diego Chargers. During the past 13 years, a lot of people asked me for why I root for them. I like telling that story, so let’s see if I can write it up properly. I travel to San Diego for a trade show, where my company exhibits. My job is it to set up equipment for the show, which (back then) usually takes forever. My colleague (and later good friend) Paul comes up and says “Henrik, there is a football game in town which I want to see, make sure to be done by noon so that we can watch it together.”. The game in question is CIN@SD. Naturally (since it takes forever to set up the systems), we don’t make it to the game. Paul: Which team do you want to play. You have to choose a team. Henrik: Ummmm, I don’t know, what’s your team? Paul: Oakland Raiders, of course! Henrik: Hmmm, I liked the visit to San Diego, is there a team in San Diego? Paul: Yeah, the Chargers, but they are no good. Henrik: Doesn’t matter, I’ll take the Chargers. My first game of Madden NFL was thus played. I lost big time, even though I did figure out some stuff even in game one. We played many many more games (up until the point where I actually won a few … somehow Paul stopped inviting me to his place shortly after that) and I started to follow the Chargers along and root for them. So, what’s your story? Which team are you rooting for?